Why do most love holiday marketing so much? Because it's a great way to go into the New Year with more clients and more sales and at the same time, connect on a deeper level with your clients and potential clients. You get to wish them holiday cheer and talk about their plans for the holidays and upcoming year. It's more relaxed and low key and often the marketing doesn't feel like marketing at all, but more of a 'Hi, how are you?" No really, "Hi, how are you? What are you doing for the holidays and how are you celebrating with your kids, etc.?" You will soon get to the "What can do together in the new year," but first, let's get to know each other better. Tis the season to go marketing... It's more relaxed and low key. 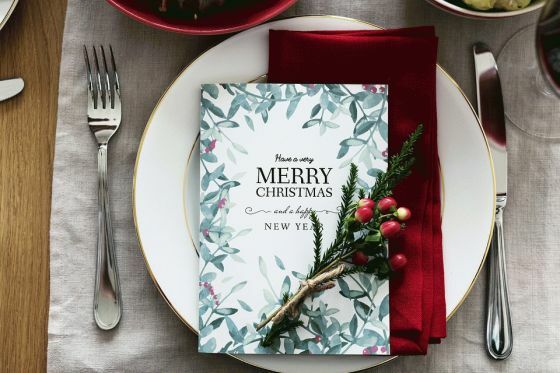 Do your holiday marketing not only to get the sale, but more to really connect with your clients and potential clients. Let them see the real you behind the business. The kid-like magic you feel during this time of year. The joy you have for your family and friends and also how passionate you are about your business. Remember, there's no need for a hard sale here. This is you being you and that's plenty. Relax and enjoy. I know you thought I'd have some brilliant do this for my first tip, but honestly the best way to market your business during the holidays or anytime really is just not to stress out. Clients and potential clients will be able to see "Hey she's really calm, even during the holidays." That goes a long way to showing them you really can help them with what they are going through at any given time. It's a real asset. Sit back, relax, and every day find ways to be grateful for all you have. Have some fun and create a fun holiday banner or new holiday images for your business. Tis the season to show your personality. Images sell. 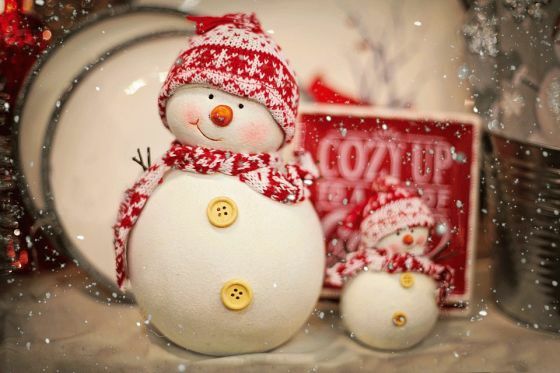 So create a fun banner or update your Facebook timeline with a holiday theme. Send a personalized holiday card or greeting to your clients and/or gifts for your special ones. Reconnect with ALL your clients and let them know how you appreciate them. Remember you aren't selling here. You are thanking them for entrusting you with their business this past year. Don't forget your team and all those who support you as well. How is that marketing you say? Well, referrals are your best source of getting clients. When you truly show your appreciation, they will feel the warmth and often give thanks back by referring you to others. For local clients stop by their office and drop off presents, popcorn tins for the staff and/or their favorite coffee for their afternoon pick-me-up. For potential new clients, drop off a Holiday cup full of wrapped candy with your business card or perhaps get your business name printed on candy bars. Coupons rock!! People love to save money this time of year and also even more important is that most are planning on spending money. Whereas they might not be interested in your product in the summer, now they need a gift for Aunt Susie they are all ears. Offer coupons and savings on your most popular products. Don't just offer savings on your highest priced products in hopes of landing more of those sales. Yes that works. But most will truly appreciate saving on what they normally purchase. Plan a 30 day of marketing strategy. You see so many I'm grateful for posts this past month with 30 days of why they are grateful. But this month, let's try this. How about 30 days of marketing. Every day commit to one marketing task. (of course you can do more, but try at least one.) Keep tabs on what they are. What happens is not only do you hopefully get more sales and clients and start the New Year rock'n, but you get into the habit of marketing on a regular basis. Blog Often - Have some fun blogs for the month. Forget about the normal ones top ten tips ones and come up with something fun and entertaining. It's the holidays you can do it. Just don't go too personal. Let Talk Your Website. Update it!! All your hard marketing work can go to waste if potential clients get to your website and see an unprofessional, poorly built, error-ridden, mess of a site. Take a look at your website and see if it is the best that it can be. Look to the overall appearance, the professionalism of your wording, the explanations explaining the benefits you provide, etc. Now make those changes. Send a personalized holiday card or greeting to your clients thanking them for entrusting you with their business this past year. What a gift for you this year if you try even some of these tips. So get marketing and make 2019 the best year yet. And remember you don't have to do it alone. There are those out there who specialize in PR and marketing who can help. The most important thing is to do it, have some fun, and welcome the New Year with open arms. Holiday wishes to all! » Are You a Marketing Hunter Or a Marketing Farmer?